The possibility of snow still looms in the northern great lakes. A low pressure will streak across country next week. 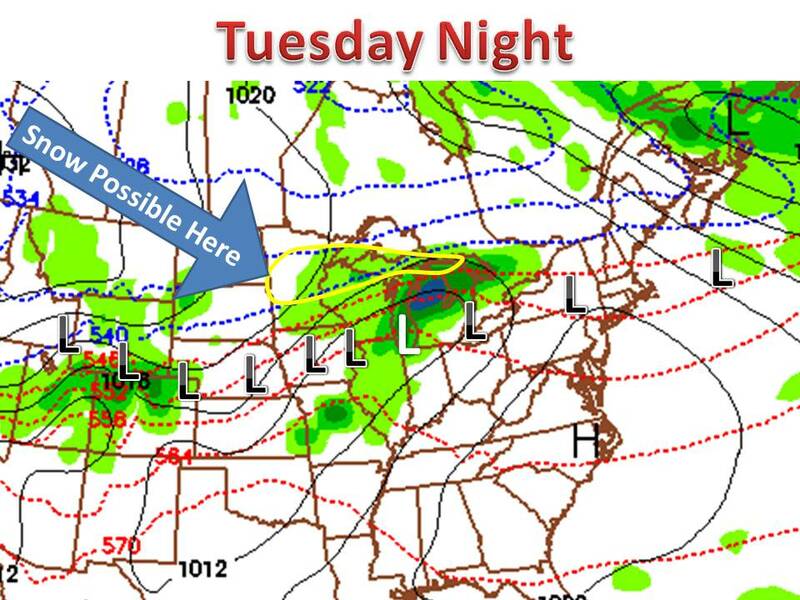 The map on the left shows where the low will be tuesday night. Snow will be possible on the northwest side of the storm. What makes this even more likely is the fact that the storm will pass through in the overnight hours. The storm will also bring rain showers to areas in the south. Keep it here to midwestweathertalk!